At first, I thought this memoir was more of a series of unrelated essays, but they mostly come together by the end. The only gap I felt was that at the end of the first section, when she talks about why it's not cute when a tomboy grows up into a tomman, she doesn't actually explain the shift that she finally made. It's clear from other chapters that she does now wear dresses and makeup, but how she got there was not quite clear. 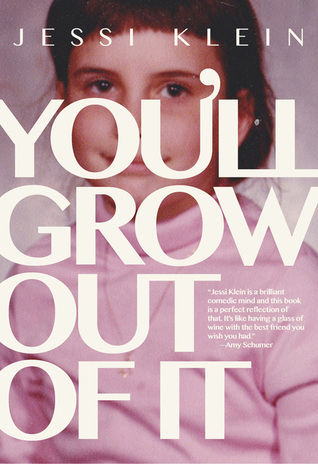 But other than that, this is an often funny memoir of an awkward young girl who grows up to do stand-up and eventually to write for Amy Schumer (and win an Emmy). I especially liked the relationship parts, both about her ex-boyfriend Pete and also her husband Mike, as they felt very real and she didn't gloss them up at all. The time when Mike told her he thought she was mad at him because (they were about to go on a romantic trip) that he had thought about proposing to her, but now had decided against it, was particularly raw. She felt like a slightly neurotic old college friend who I'd love to hang out with. And it's so lovely to hear about her getting star-struck at the Emmys and also feeling like that was in no way the pinnacle of her life. It was all-around funny and relatable and just a great read.